Exporter of a wide range of products which include universal jack, hollow universal jack and solid universal jack. Taking advantage of our industry leading expertise, we are manufacturing superior quality Universal Jack. 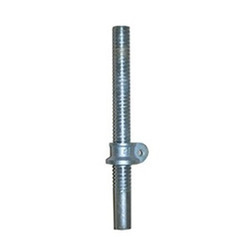 This jack is the most viable method of adjustment that is widely utilized in supporting scaffold structure. Our offered jacks feature malleable cast iron cup nut and can be ordered from us in self finish or zinc plated finish in varied size specifications. With the advantage of our modernized infrastructure, we are engaged in manufacturing next generation Hollow Universal Jack. Widely demanded for its full threaded design, these universal jacks are ideal for all kinds of scaffold systems and formwork systems. Further, the offered hollow jack is fabricated out of sheet metal with advanced drop forged techniques, and finished with premium grade zinc plating. 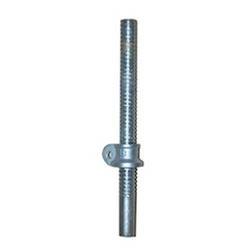 Owing to our extreme prowess in the domain, we are manufacturing highly demanded Solid Universal Jack. 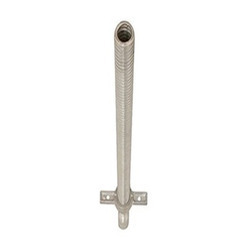 Developed using heavy duty malleable cast iron nut, the offered jacks can be used to support the scaffolding structure either from top or bottom. We have premium grade material to fabricate these highly durable that can be ordered in various size specifications from us in self finish or zinc plated finish.